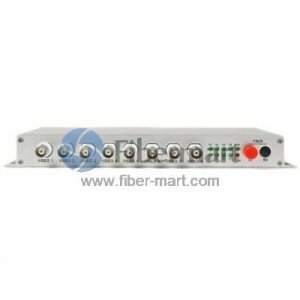 Fiber Video Multiplexer/Converter-Transmitter + Receiver is used to encodes the multi channel video signals and convert them to optical signals to transmit on optical fibers. 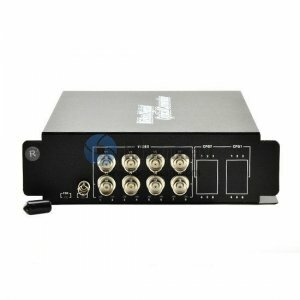 It handles several video signals simultaneously, and it can also provide simultaneous display and playback features. 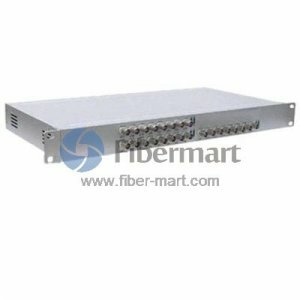 These video over fiber converter typically used in applications where the cameras have P/T/Z capabilities. 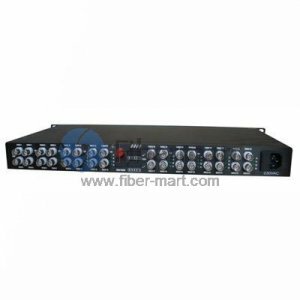 We supply 1, 2, 4, 8, 16, 24, 32 64 channels video to fiber converter. Plug and Play design ensures the ease of installation and operation. Please feel free to contact us for all your video to fiber and other video conversion requirements.